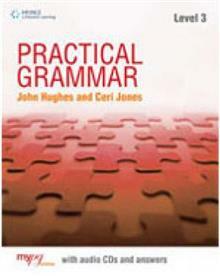 Practical Grammar is a British English grammar course for self study or use in the classroom. 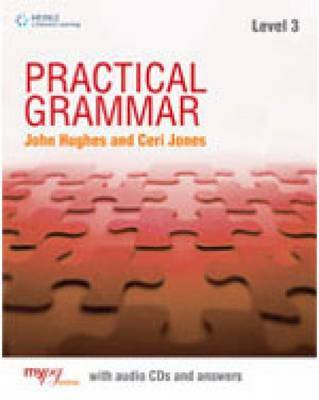 This title takes students through the aspects of English grammar from Elementary to Upper Intermediate levels. It enables the students to examine the form, meaning and use of the languag... read full description below. Practical Grammar is a new British English grammar course for self study or use in the classroom. The series takes students through key aspects of English grammar from Elementary to Upper Intermediate levels. Organisation of Practical Grammar : Each level of Practical Grammar has 100 units, divided into modules of five units. Each module examines a particular area of grammar. The grammar is set in short, everyday conversations or texts, showing the language in natural situations which students will find engaging and can relate to. Students then examine the form, meaning and use of the language before practising it in a variety of activity types. A Review section concludes each module and regular tests check students' progress. Each level comes with two audio CDs and a pin code which allows access to MyPG or extensive additional online practice for use at home or in self access centres. Real language in natural situations exposes students to grammar at work. Listening and pronunciation: two audio CDs provide listen and check support and key pronunciation of the grammar items. It includes high frequency words and expressions in each unit. Tips highlight common errors and characteristics of English Grammar. Regular review and progress tests give students the opportunity to check their learning MyPG Online. Each level of Practical Grammar comes with a pin code which allows access to MyPG. MyPG provides extensive additional online practice for use at home or in self access centres. John Hughes has taught and worked for over 15 years in Poland, Italy, Austria, Malta, the UK and the USA. He is a wellknown ELT resource writer and is author of various coursebooks for students including the areas of exam preparation and business English. Ceri Jones has an MA in TEFL from Reading University and has been teaching and training in Spain since 1998. She has been involved in the writing of several coursebook series as well as supplementary materials for a range of levels.